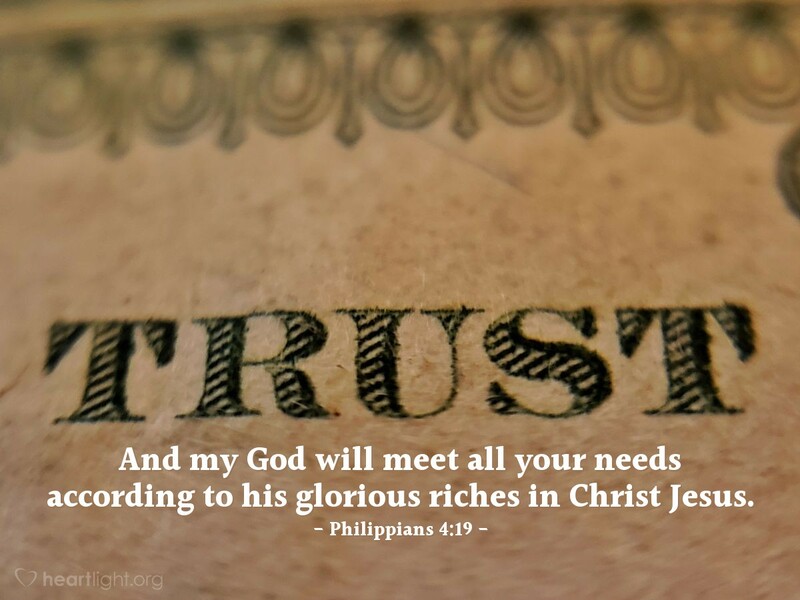 Throughout Scripture, God reminds us that if our trust is in him and if we share his blessings with others, he will make sure we have all that we need. How can we be sure? Look at Jesus! Dear Father, please forgive me for trying to find my security and hope in things other than you. I know that there is no other source of hope, freedom, and security than you. Help me tear down every idol that I may have erected that dilutes or distorts my trust in you. In Jesus' name I pray. Amen.